This site requires the fewest steps to get your data but has the most technical process which can make it confusing for an intermittent user. 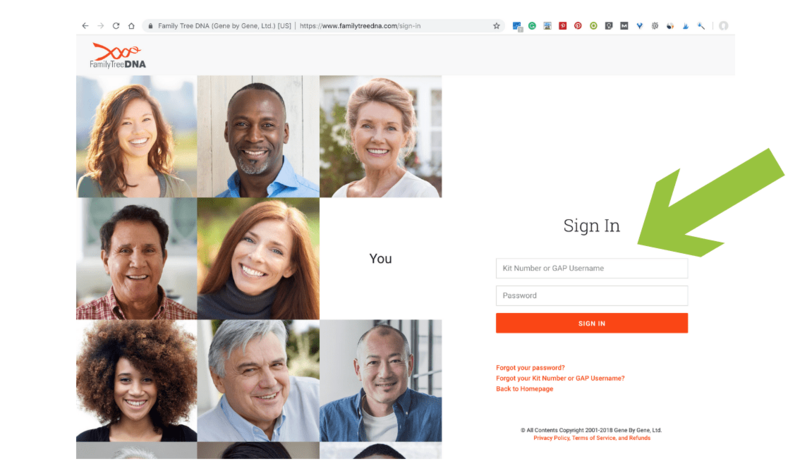 In my opinion, this is the most difficult site to sign in to. You need your DNA Kit number or your GAP Username and your password. I usually have to go back to my emails, search for “FamilyTreeDNA kit” and find the original email from FTDNA with my kit number. Also, in my case, an FTDNA Kit number is usually 6 digits; if you’ve uploaded DNA from another test provider, that DNA kit number will have a letter in front of numbers. 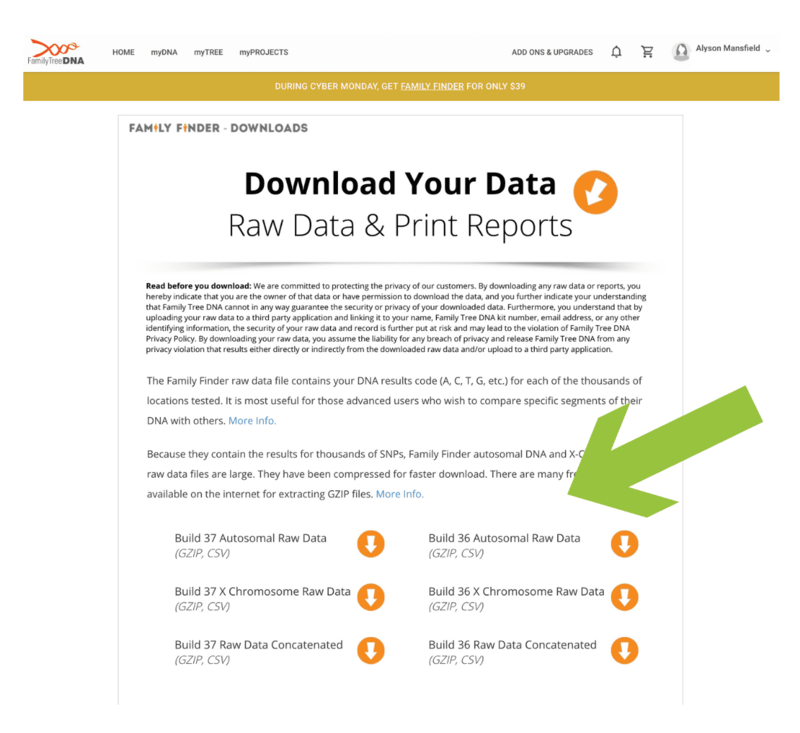 You can find a Download Raw Data option on the home page and another under this menu path, myDNA>Family Finder>Download Raw Data. You’ll potentially have multiple options for DNA Downloads. If you’re downloading data to keep an archival copy of your results, you’ll want to download all options. 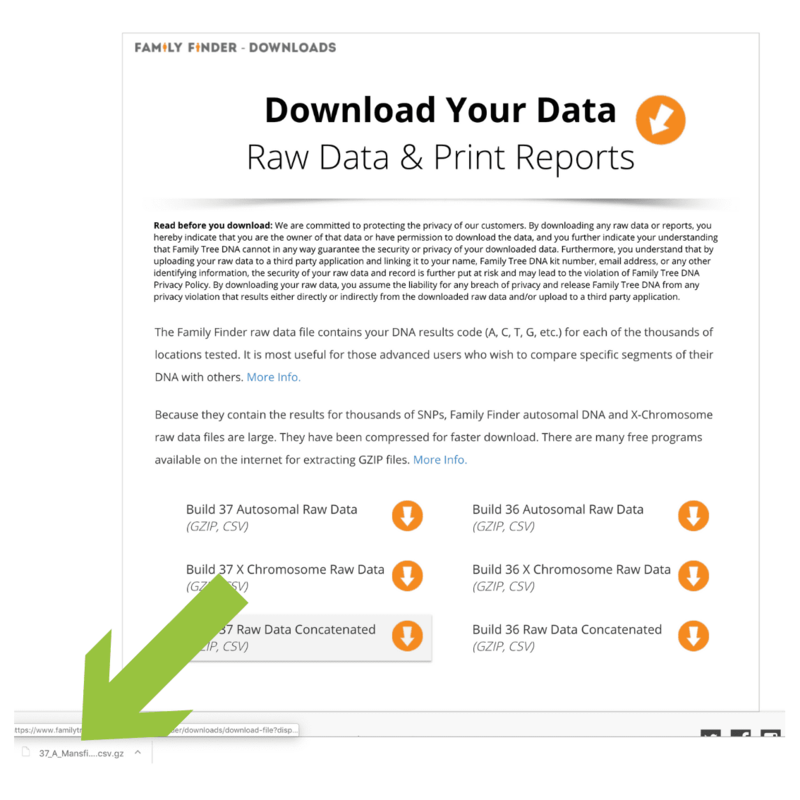 If you’re downloading data to upload to another testing site or a third-party site, that site will tell you which file they accept. 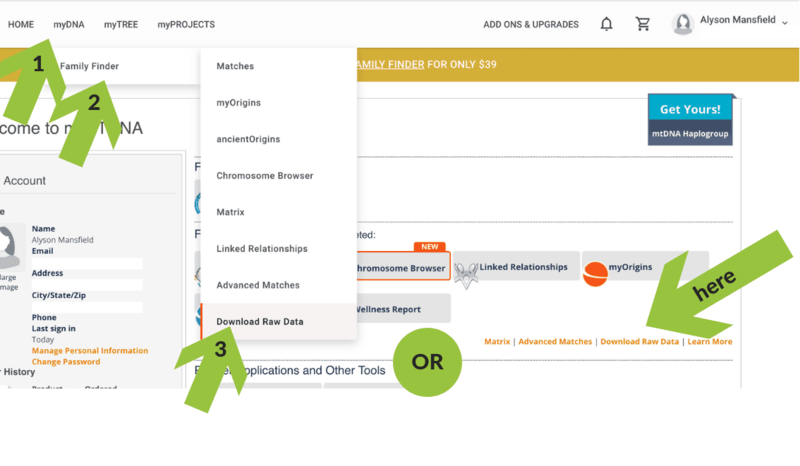 MyHeritage is currently accepting the Build 37 Raw Data Concatenated; GedMatch is currently accepting the Build 36 Raw Data Concatenated. The downloaded file(s) will appear at the bottom of your browser page. Go to your Downloads directory and find the file(s) and rename it/them. You may want to save it/them somewhere other than your Downloads directory. If you want to upload this data to another DNA testing site, login to that testing site and follow their directions for uploading DNA from other test sites.